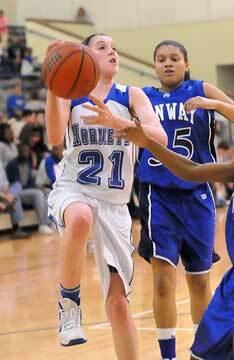 They may have gotten frustrated along the way and, perhaps a little disheartened, but the[more] Bryant Lady Hornets freshman basketball team never quite trying, never quit playing hard. 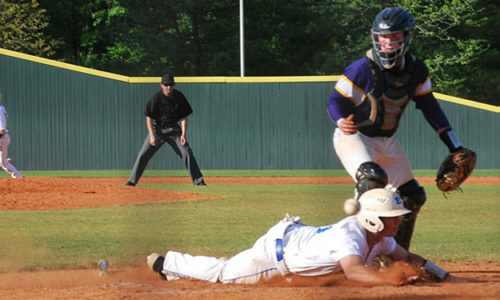 That was the case right up to the end of their last regular season game on Monday night against the Conway Blue Lady Wampus Kittens. 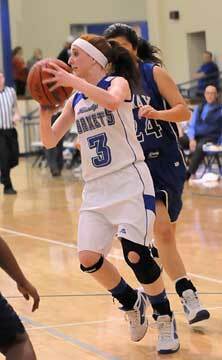 Though they trailed by as much as 22 in the second half, the Lady Hornets whittled the margin down to 13 late on the way to a 35-20 loss, their 20th of the season in 21 games. 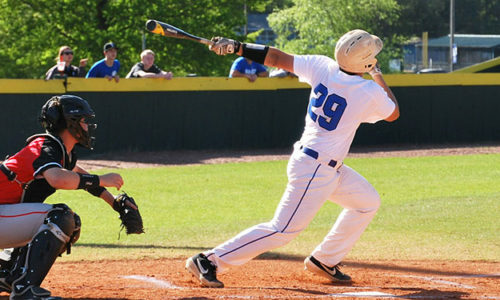 They’ll open play in the Central Arkansas Junior High Conference post-season tournament at the Bryant Middle School gym on Thursday against Mount St. Mary, a team they’ve come within a basket of beating twice. 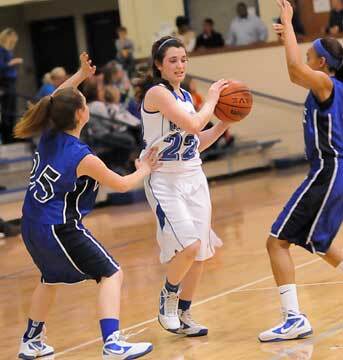 Early in Monday’s game, the Lady Hornets and Lady Kittens were engaged in a defensive battle. When Bryant’s Taylor Lindberg hit a short jumper off a lob feed from Nikki Clay with 1:54 left in the first quarter, the game was tied 2-2. But Conway Blue’s Andrea Acklin hit a 3-pointer to spark her team’s 14-0 run, which was fueled by the Lady Kittens’ full-court press. Bryant managed 11 field goal attempts in the first half and four free throws but suffered 21 turnovers. The Lady Hornets were unable to score again until Mallory Curry followed her own miss with a bucket with :18 left in the half, making it 16-4. 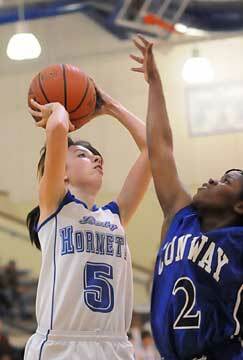 Conway Blue’s Deana Ester started the second half with a three-point play. Lindberg answered but the Lady Hornets couldn’t match the Lady Kittens’ pace. It was 23-6 before Destiny Huffman hit a driving jumper for Bryant then it was 30-8 before Huffman hit a free throw in the final seconds of the third quarter. That actually started a little run for the Lady Hornets who were able to operate a little easier without being inflicted with the Kittens’ press. Huffman opened the final period with a basket off an offensive rebound. Kierra Solinger added a free throw and Brittany Earls drained a 12-footer. A layup by Jayla Anderson with 1:50 to play made it 30-14. Free throws by Anderson and Sadie Powers got Bryant within 33-20 before Briana Ester scored with :10 left to set the final margin. Lex Tolefree led Conway Blue with 11 points. Mikayla Clemente added 8. Huffman paced Bryant with 5. Anderson and Lindberg had 4 each.